As a car dealer or dealership manager, you’re no stranger to the concept of negative reviews. A negative review can happen regardless of the quality of your team's work or how many people love your business. A negative review may not seem like a big deal, especially if most of your customer feedback is positive – but it’s always best to address the situation, and doing so publicly lets potential customers see on a first hand basis that your dealership will do the right thing when something goes wrong. You may be well aware that negative reviews can alter consumer perception of your business. In fact, 84% of people trust online reviews as much as a personal recommendation. Thank the customer for bringing the situation to your attention. Whether the customer doesn’t understand your process or is just having an off day, it never hurts to take the first step to finding a solution. 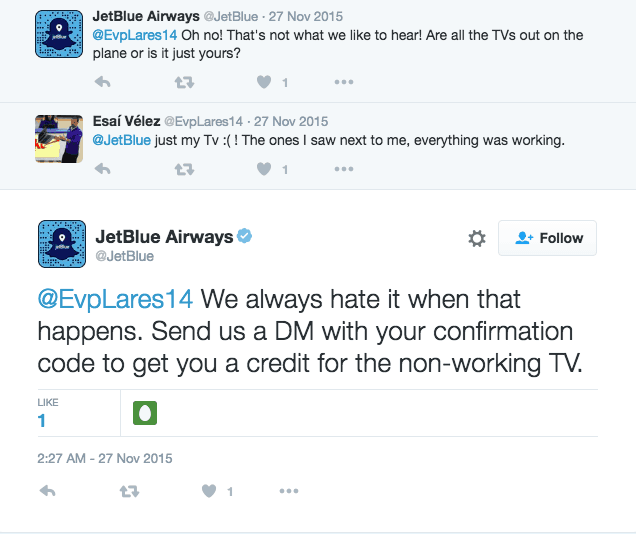 The Jet Blue Twitter Team did a great job quickly responding to this unhappy passenger by acknowledging that it is a problem their tv screen is not working and then ask them to direct message them details to help them make it right. “We apologize that our service did not satisfy your expectations. We set a high standard for ourselves and are truly sorry to hear that standard was not met in your interaction with our business. Your happiness is our number one priority”. This apology is sincere, to the point, and demonstrates that your business sets a high standard and intends to deliver. 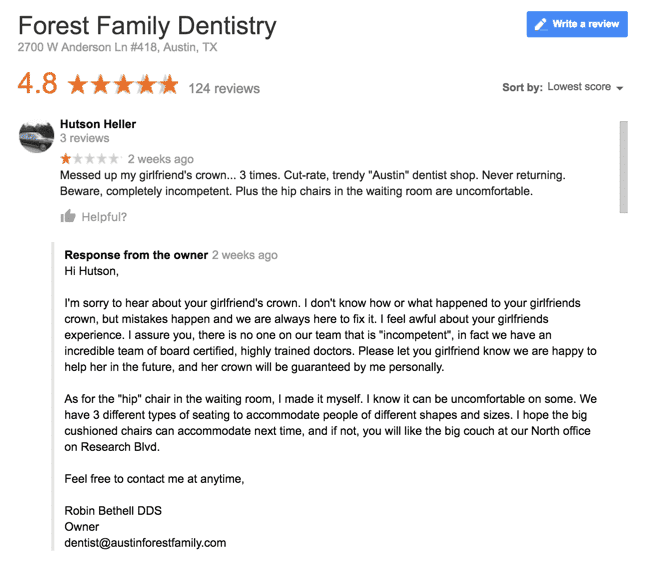 Forest Family is a dental office that does a great job apologizing and giving the patient the opportunity to contact her directly to resolve this negative Google review. Even if the patient doesn’t return as a potential patient this makes me want to visit them. “Our entire team apologizes for the miscommunication that took place when scheduling your service appointment. We experienced a serious technical issue with our scheduling software, which caused us to lose valuable information about our upcoming appointments. 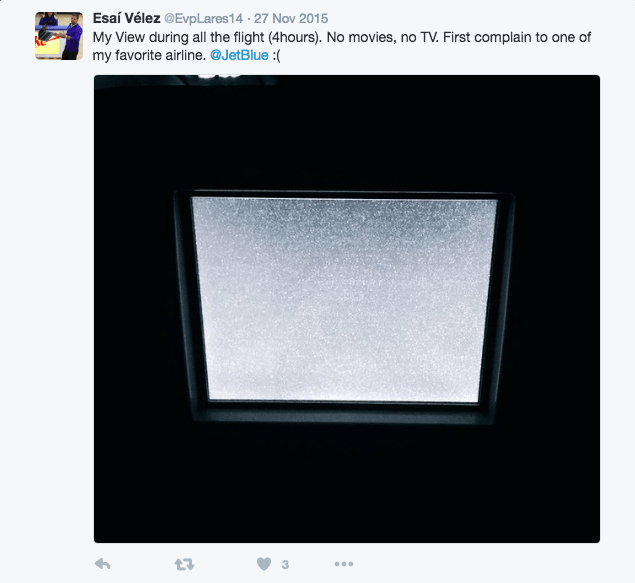 As a result, we did not meet our scheduled service window at your home." Don’t make excuses – take responsibility. Be clear why the misunderstanding occurred. Issue an apology, even if the other party was in the wrong. Offer advice on how to re-engage with your business. Mother Bear Pizza a local pizza shop does a great job explaining the reason behind the delay without coming across as making excuses. 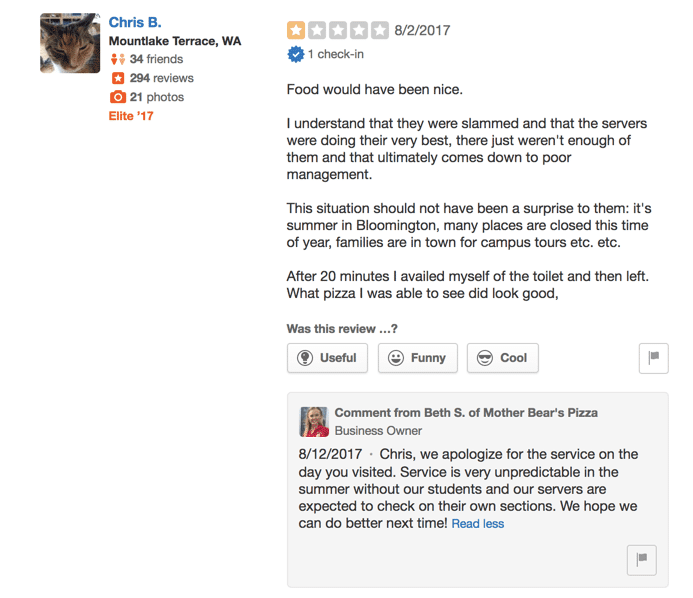 If they consistently respond to reviewers it will help them build a trustworthy Yelp profile that doesn’t filter out your Yelp reviews. As a consumer, there’s nothing worse than having a negative experience with a company and have them brush it off like it was no big deal. In their eyes, the fault either has cost them time or money. As such, be willing to go above and beyond and incentivize or compensate the consumer to use your business again. An apology goes far, but a 20% credit on their next service is much more incentive for them to use your business again. If you’re willing and able to go that extra step it could mean the difference between a one-time customer and a lifetime customer. Make sure to provide your name, title, and direct contact information (or that of a manager at your business who has the authority). We do not recommend that you ask the person to remove the review, as this could make the situation worse. Simply ensure the client feels that their complaint was heard. Honda of Thousand Oaks an auto dealership does a good job giving the person a direct line to their General Manager to help them resolve the issue. Even though it may be difficult, responding to a negative review is part of maintaining your integrity as a business. Keeping an even tone with your customers in your interactions online and offline will only help you in the long run. In a perfect world, every online review your business receives would be positive. Unfortunately, this isn’t realistic. Although it can seem unfair, it’s important to acknowledge negative reviews and prepare for them. If you ignore negative reviews altogether customers are unlikely to return. Furthermore, the customer may continue to share his or her negative feelings about the experience with others offline, which causes even further damage to your business’s reputation in the community. If you would like to be proactive and keep negative feedback offline with a simple solution, get in touch with the marketing professionals at Broadly to learn more. 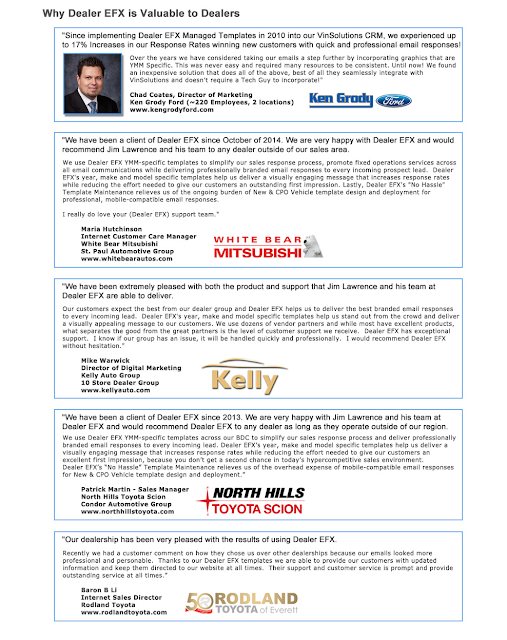 EDITOR'S NOTE: "If you have 100 Reviews of your dealership on a review site such as DealerRater, Cars.com and any others like them, and 1 of the reviews has a one star rating, while 99 of them have a 4 or 5 star rating... Which review gets read the most? Of course we all gravitate towards that singular negative comment... Which is why, after you resolve the customer's concerns you should ask them to update the review itself, so the story and follow-up reflects your dealership's proactive approach to customer complaints. Leaving that one star alone assures the dealership that the negative review that was corrected will be scene by more potential customers..."